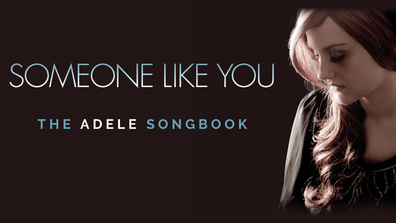 As part of the BBC special, Katie got to perform live with Adele on stage in London and now she has been selected to perform as the lead role in Someone Like You – an immaculate concert production that recreates the magic of Adele’s music from the three hit albums 19, 21 and 25. “Adele said she watched my audition and loved it. Being involved in the BBC show was an incredible experience. I never thought I would get to meet Adele, let alone sing with her and take part in one of the biggest shows of her career. I absolutely love Adele – how she flips her voice and the raw emotion in her songs. If there are any songs written for me to sing, it’s her music. I can’t wait to bring the same depth and emotion to the ‘Someone Like You’ show. The show includes the smash hits Chasing Pavements, Make You Feel my Love, Set Fire to the Rain, Someone Like You, Rolling in the Deep, Hello and the multi-million seller Skyfall, as well as featuring a selection of songs by some of the legends that inspired Adele. Katie has been singing and dancing since she was six years old, having trained at Joyce Mason School of Dance and Kimberley School of Dance in Scunthorpe. Singing remained in the background for a while due to her passion for dance but when Katie started winning singing talent contests at aged 15, she started to focus on her unique and stunning voice. Katie continued to appear in various theatre and musical productions as well as festivals up and down the country. In 2013, she was approached to enter X Factor and got to the last 7 finalists, narrowly missing out on the judges’ houses stage. Katie emerged from the X Factor experience an entirely different person; as an artist with full confidence in her vocal ability. Not long afterwards, her agent entered her for a showcase as Adele and so the journey began. In 2015, Katie was approached by producers of Adele Live at the BBC to appear on the show as part of an Adele tribute feature. Adele selected all the tributes herself and loved Katie’s audition video (see quotes below). She was selected as one of eight Adele performers to be in the BBC show and performed alongside her idol as part of the piece. And so the Someone Like You show was born. Katie is absolutely thrilled to be leading the national theatre production; a show which gives her the chance to portray Adele in exactly the way she has always dreamed. ​The tour kicks off at Cliffs Pavilion in Southend on September 9th and takes in venues across the country over the following few months. All tour dates are listed on the website. ***WIN A PAIR OF TICKETS TO SEE THIS AMAZING SHOW*** - SIMPLY HEAD TO OUR FACEBOOK PAGE OR TWITTER AND GIVE US A LIKE OR FOLLOW AND SHARE OR RETWEET THE COMPETITION DETAILS. WINNERS WILL BE NOTIFIED ONE WEEK BEFORE THE SHOW - GOOD LUCK!